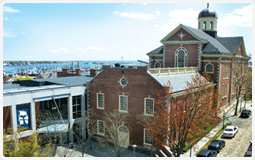 As a New Bedford real estate attorney experienced in advising and representing clients in all aspects of residential real estate transactions in Massachusetts, from purchase and sale negotiations to closings, Brian M. Glover frequently encounters questions regarding home inspections, mortgages and other aspects of Massachusetts real estate law. Below are answers to some of the most frequently asked questions. If you have other questions or need advice and representation with a particular residential real estate transaction, please contact Brian M. Glover, Attorney at Law. Q. What do we need to bring to closing? A. Common items for the buyer to bring to closing include a photo ID, a copy of a valid homeowner’s insurance policy, and a cashier’s check with the full amount due at closing made out to the seller or seller’s attorney. The seller should be ready with a photo ID, mortgage information for the buyer’s attorney, the deed to the property, final meter readings for utilities, and certificates of compliance with the smoke detector and carbon monoxide detector laws. And don’t forget all those keys and garage door openers! Q Do we need to comply with Title V if the buyer is paying cash for a property? A. Generally speaking, an inspection of the septic system is required by Title V whenever the property is sold or title is otherwise transferred to new owners. There are some exceptions, however, such as if the transfer is between certain family members either outright or in trust. Q. Do we need to comply with the Smoke/Carbon Monoxide Detector laws if the buyer is paying cash for a property? A. Working smoke detectors must be in place when the home is sold. For most homes, working carbon monoxide detectors must also be in place. There are specific regulations that cover which homes must have detectors, how many they must have and where they must be located. Check with your realtor or real estate attorney if you have questions concerning a home you are buying or selling. Q. If a sewer betterment has been assessed, does the buyer or the seller have to pay it prior to closing? A. Like many other expenses associated with the purchase or sale of a home, which party assumes responsibility for paying the betterment is a negotiable item. If the betterment involves a one-time assessment and is being assumed by the seller, then it should be paid off prior to closing. Oftentimes, however, the betterment is assessed over time and will be assumed by the buyer, which may affect the negotiation of the purchase price. A. If you are 62 years old or older and own the home you are living in, you can receive cash for the equity in your home by entering into a reverse mortgage, also known as a home equity conversion loan. Unlike a traditional mortgage, you do not have to make any payments of interest or principal so long as you are living in the home. A reverse mortgage can be very helpful if you find that your income and savings are not enough to meet your living expenses, or if you run into a large expense that you cannot otherwise cover. You may have other options besides a reverse mortgage, such as a conventional mortgage or home equity line of credit (HELOC), and a reverse mortgage can reduce the value of your estate to your heirs. Before you enter into a reverse mortgage, talk to an attorney who is experienced in both real estate and estate planning to make sure you are making the best decision in your situation.